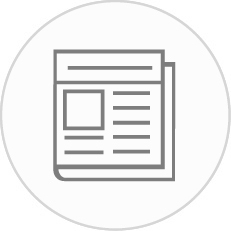 We, Trendy Explore negotiate exclusive rates for Luxe-Hand-Picked hotels around the world and provide handsome deals for our luxury-oriented customers. We, Trendy Explore provides tours, travels packages with the fusion of social, culture, sports and adventure. As a Responsible travel organization, we create trends and explore the travel destinations with super Luxe hospitality. Currently, Trendy Explore is a start-up, but our basics and values are on the higher side. We work on to make the best luxury itinerary with best price deal and to achieve dream goal with our traveler's satisfaction. Nowadays, very few organizations provide luxury tours and packages, our mission is to provide same with socio-cultural-sporty-adventures packages, here we took a small step to make people realize that there is another world. Every Traveller wants the best price deal with the best hospitality and services, here we have designed handsome packages for individuals, couples, Senior citizens, family, children, and groups, to experience the Luxe-urious life. Our whole epigraph is to design packages is that to give luxe life to each and every one. •	We’re called Trendy Explore for a reason because we are constantly looking for the ways to make your Luxe-Holiday as Trendy (according to travel Trends) as possible to Explore (thoroughly explore your travel Destination). •	Trendy Explore only Aim is to provide our travelers with a best luxury deals and packages around the globe economically. 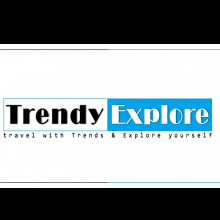 •	Trendy Explore understand your travel holiday’s time that’s why we made your time a new Luxury. Dubai the City of Gold https://t.globallinker.com/meZIN info@trendyexplore.com It is the biggest market for Gold Jewellery. It is the Hub and the world’s great gold trading place and it has the world’s best shop of Gold Jewellery with design and luxury. Dubai is world famous Gold Souk Market. Discover what to look for when shopping for the world’s most desired precious metal. •	Gold is the perfect thing to compliment a woman and a man as well.Whether it is for every day or for an occasion, they are carrying/wearing it in each and every time. •	If we are talking about to buy Gold Jewellery then Dubai is the best place to buy. Gold price in Dubai is cheap because their government imposes the minimum tax to purchase. •	As Dubai is the City of Gold as trading of gold, you can find the world’s best design here only. We can say that this is Dubai gold. •	If you want to do shopping for Jewellery in bulk then Dubai shopping fest is one of the best things for you. Here you can grab your favorite one with awesome discounts, but the little loop is to be there your citizenship country allowed to you how much amount of goods, So purchase only capping amount otherwise extra purchase confiscate by customs departments. •	This is the only reason, from its traditional gold souks to glossy luxury stores, the emirate is known for its beautifully crafted gold pieces. There is multiple gold souk where you can buy gold in Dubai. •	Gold is one of those things where people wear it as a hobby and also buy it as Investment. Gold’s have continuous price fluctuations. But this will never affect those persons out there who are fond of Gold Jewellery. •	Though, when you can buy jewelry from Dubai’s any shop and they sold it according to its weight, and a labor charge is added depending on the intricacy of the design. •	It’s a fact that Heritage makes a statement, Dubai is perfect for this one statement. •	The main focus of Dubai Jewellers is to design beautifully with the theme of a culture and heritage. They have the ability to fulfill the wide tastes and expectations of a very global customer base. •	In Dubai, you’ll find that mostly the jewelers specialize in Polka, bridal, and Indian antique jewelry. •	Especially most of the tourist are found of Indian antique jewelry which is one of the most wanted-after categories in terms of values with the pre-loved market. Antiques also have heritage demand and are often expected to be passed down through generations. Gold Souk Gold is typically available in 18K, 22K or 24K. The karats denote to the purity of gold. The untainted or say purest form of gold is 24 karat gold. These are usually heavier in design than 18k and 22k gold which is more. Some famous Gold Souk Market in Dubai, which is also top rated Gold Shops in Dubai by the tourists, for buying Dubai gold. 1. The Gold Souk, Dubai The sheer scale and variety of designs available on offer are staggering – Famous for the gold bracelets, bangles, earrings, pendants, and necklaces are available in white, pink, yellow and even green gold in unimaginable designs. If you want to buy gold in Dubai this is the perfect destination for you. Dubai has earned itself and It proves that why it is the city of gold. Here you can find jewellery in many styles but mainly you find and most available in Arabic and Indian styles with some European designs available as well. At Dubai, you find that the prices of gold are amongst the cheapest from anywhere in the world as there is no VAT or tax applicable on the purchase of gold. 2. Joyalukkas Joyalakkus is famous for their quality and variety in the Gold Jewellery designs. It established itself as a famous destination of Gold Shoppers. 3. Damas Damas is one of the largest stores in Dubai which has 4 more stores in the Middle East. It has a huge customer base of loyal customers for their beautiful and unique crafted designs. Mostly they carry the designs of an Arabesque style with a contemporary twist to cater to the local market. They offer their customers a trendy style and designs at a reasonable price. Damiani 4. Ary Jewellers Mainly famous for sophisticated gold jewelry which is combined with pearls, diamonds, and precious stones. They offer a versatile collection of gold jewelry which can be carried with classical Indian wear or Western outfits. And yes they are also famous for their traditional bridal collections. 5. Atlas jewelry Well- known from the last 30years, Atlas jewelry provides mainly to the large Indian expat population in Dubai. They carry both the verities of designs, modern and fashionable as well as old-style and ethnic to suit the tastes of their large Indian customer base.